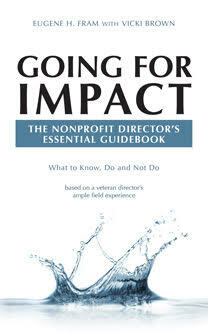 The Nonprofit CEO Exceeds His/Hers Authority – What Happens Then? It happens! When it does, it’s the board’s job to inform the CEO that he or she has taken on too much authority. As a board chair of a human service nonprofit, I encountered such a situation. The CEO signed a long-term lease contract on his own that should first have been approved by the board. The financial obligations involved weren’t significant. <!–more–> When the CEO recognized his error, I then asked for formal board ratification. None of us does out jobs perfectly. But a CEO has to recognize the board’s ultimate authority for long-term contracts and similar issues, even when the financial obligations are insignificant. I don’t believe you need as much Board-CEO trust in the for-profit world as in the nonprofit world. In the former, the “bottom Line” can give directors a reasonably clear (not exact) indication of how the CEO is performing. In the nonprofit world, there is no organizational solid bottom line, except the one that says income must match expenses. Also of importance, there are many qualitative outcomes, such as community impact, that are not part of the financial statements and must be considered in the evaluation. It largely depends upon policies, job descriptions, and culture. Signing contracts could be a management decision. If a board hires management, then the board needs to allow management to manage. if the board requires contractual review and sign-off, then of course, the exec has to comply. If the job description grants appropriate authority, then the board has appropriately delegated accountability and authority. Good point. The CEO just let this slip by because he had regularly signed operational contacts, for which he had authority, for much more than this one. My model, covered in Policy vs. Paper Clips – Third edition (2011), provides a useful guideline for separating board policy decisions from operational ones.